Pay as little as $20 for 6 months* when choosing PayPal Credit at checkout! A seamless design with no visible fasteners combined with wraparound L.E.D. 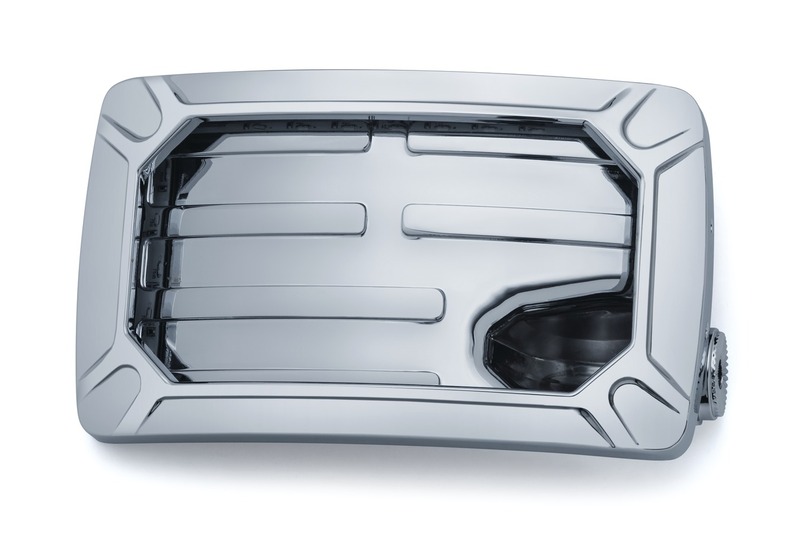 lighting makes the Nova one of the cleanest and most functional side-mount license plate holders available. Choose between horizonatal and vertical styles, requires separate purchase of a model-specific splined mount. •Requires separate purchase of a model-specific splined mount. Mount for Side Mount License Plate for Softail. Harley: '86-'17 Softails (except '08-'11 FXCW/C, '09 FXSTSSE, '13-'17 FXSB, '13-'14 FXSBSE & '16-'17 FXSE) with Kuryakyn Swingarm Covers. Side Mount License Plate Clamp for Softail. Harley: '86-'17 Softails (except '08-'11 FXCW/C, '09 FXSTSSE, '13-'17 FXSB, '13-'14 FXSBSE & '16-'17 FXSE) without Kuryakyn Swingarm Covers. Harley: ’08-’11 FXCW/C Rocker, ‘09 FXSTSSE Screamin' Eagle Springer Softail, '13-'14 FXSBSE CVO Breakout, '13-'17 FXSB Breakouts & '16-'17 FXSE Pro Street Breakout. Mount for Side Mount License Plate for Dyna. 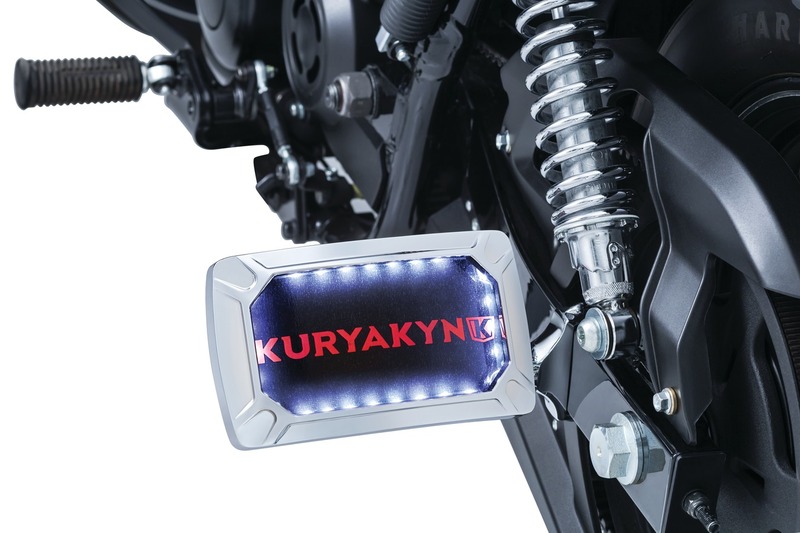 Side Mount License Plate Clamp for Dyna. Side Mount License Plate Clamp for 1-1/4". '99-'14 Road Stars without Swingarm Covers (ex. '02-'09 Warrior) & Custom Applications on Motorcycles with 1-1/4" Diameter Swingarms. Mount for Side Mount License Plate for 1-1/4". Side Mount License Plate Clamp for Sportster. Mount for Side Mount License Plate for Yamaha. All '98-'17 V Star 650 Models & '99-'09 V Star 1100 Models. Harley: '15-'17 Street 500 & 750 Models. Side Mount License Plate Clamp for Victory. Victory: '07-'17 Boardwalk, Gunner, Highball, Judge, Kingpin & Vegas. Side Mount License Plate Clamp for Yamaha. Black. Yamaha: '14-'17 Bolt & '17 SCR950.